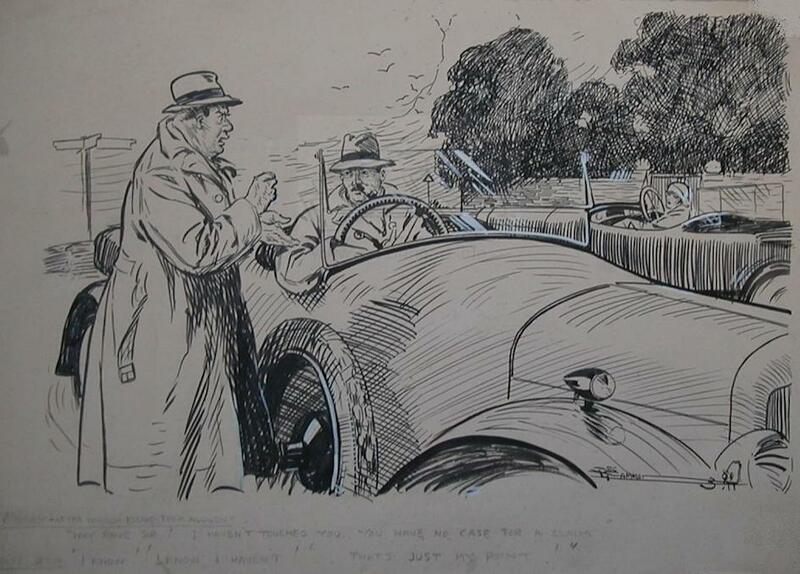 Reg Gammon was one of many artists that initially made a career in cycling and motoring art but went on to gain wider fame as a fine artist and illustrator. 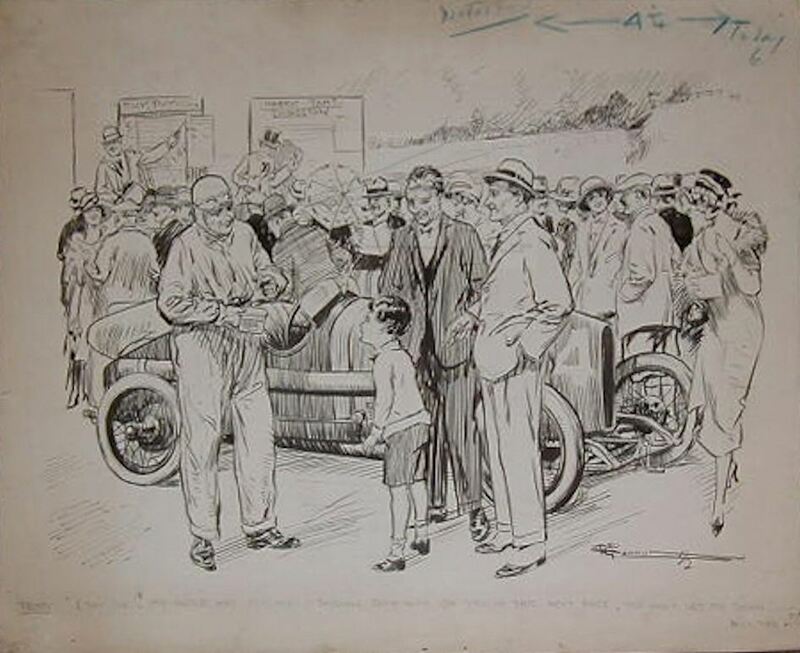 Reg Gammon was tutored by his uncle Frank Patterson the famous cycling illustrator for whom he initially worked. 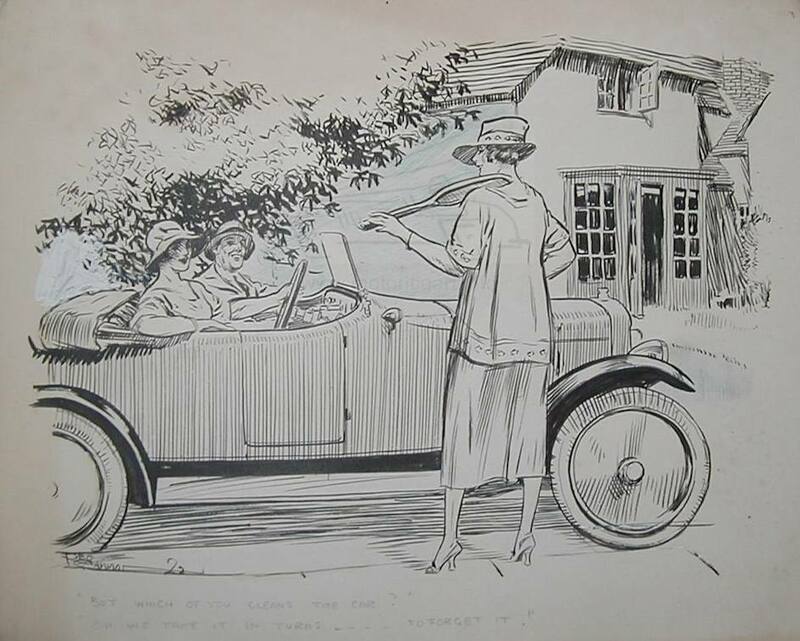 We see his work starting to appear in The Motor and The Light Car in the early 1920’s and these consisted of pen and ink illustrations of motoring scenes and humorous drawings. 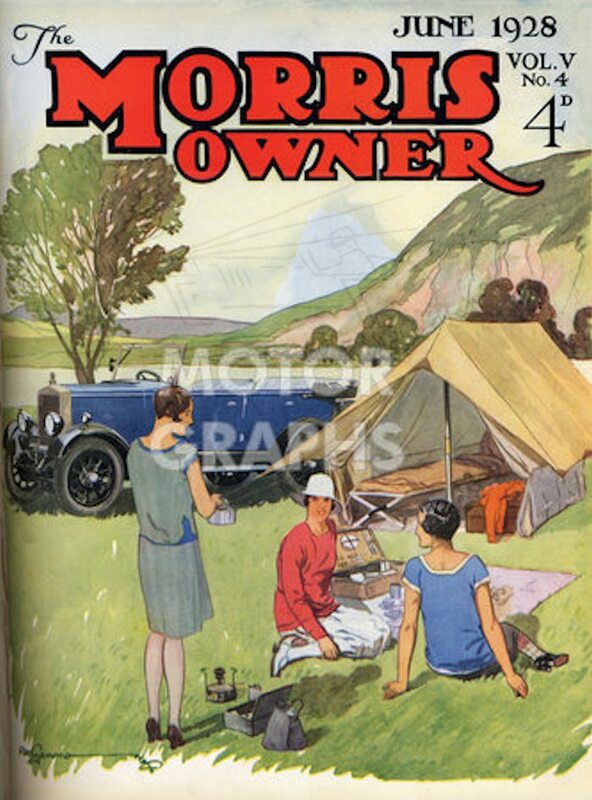 The Morris Owner also used his art from the 1920’s up to the second war. 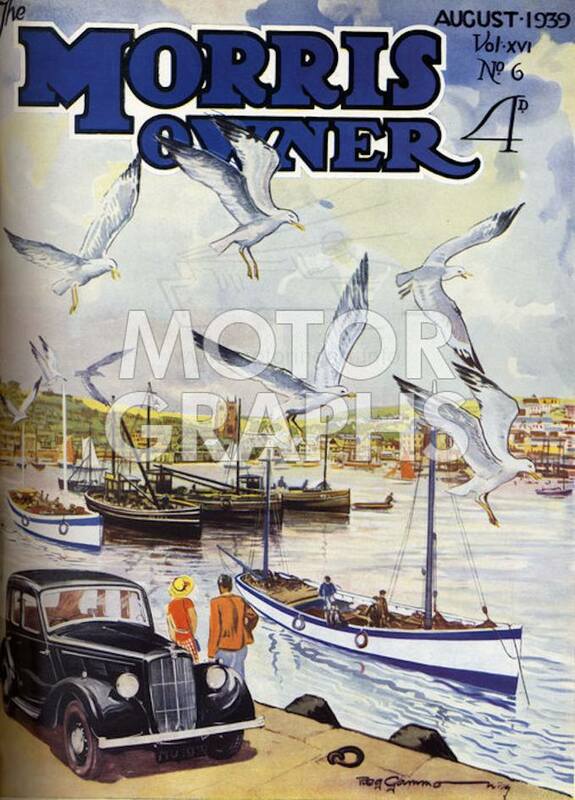 Examples of the cover art can be seen on the Motorgraphs website. 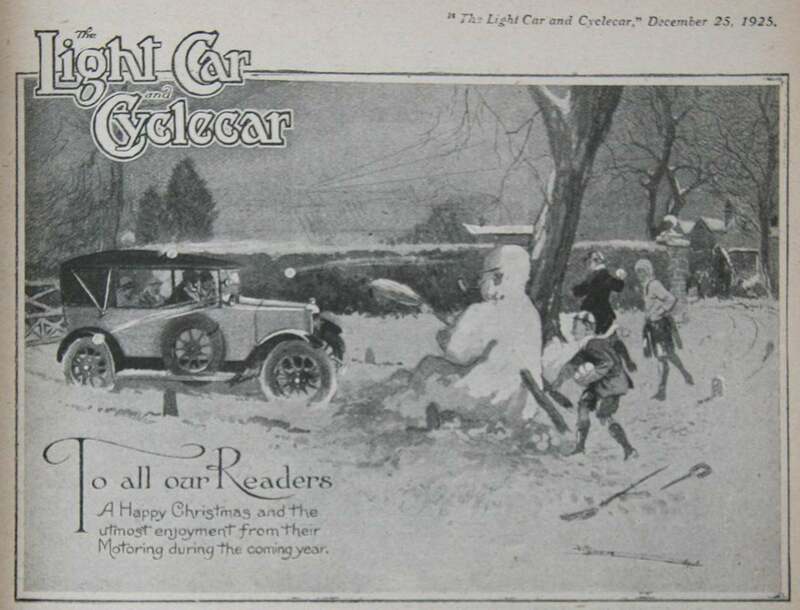 Reg Gammon worked for Motor Cycling and also his cycling interest continued with the Cyclists’ Touring Club Gazette over a period of 60 years. He was a frequent contributor to Punch magazine and drew for the News Chronicle newspaper on country matters. Although Reg Gammon is best known for his black and white work he was also an excellent watercolourist. His black and white studies are similar to the work of Patterson but nowhere near so fine a linework. In later life he also took up oil painting. Many exhibitions were held of Reg Gammons work including one at the RWA in 1985 celebrating 50 years of exhibiting. Reg Gammon illustrated many books including six ‘Romany’ books in the 1930’s based on a popular BBC Si g n at u re 19 2 2 children’s’ series. In 1990 he wrote a semi-autobiographical work entitled ‘One Man’s Furrow’. His signature on his early work Reg Gammon is in block lettering with a large R And G and dated. The signature is stylised and elongated with horizontal lines. The signature has similarities to that of Frank Patterson. The later signature is just a plain block lettered GAMMON. Reg Gammon died in Bridgwater in 1997 aged 102 years. 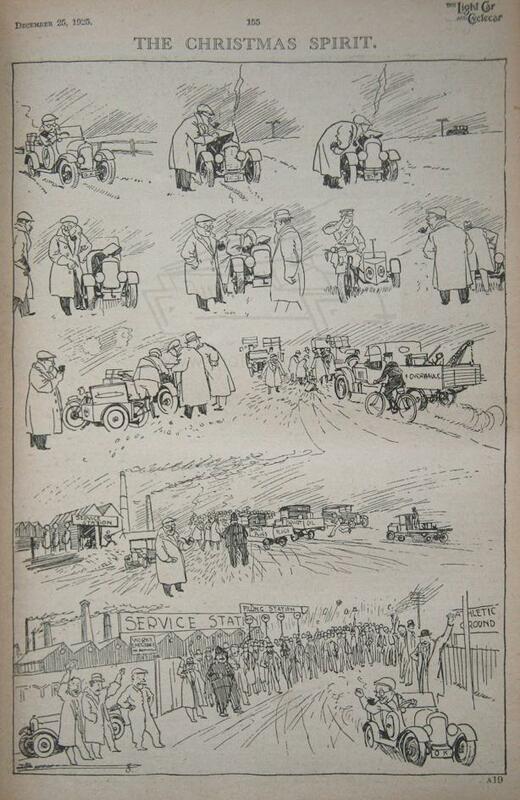 Tennis cartoon 1922 And which of you cleans the car? We take it in turns - to forget!